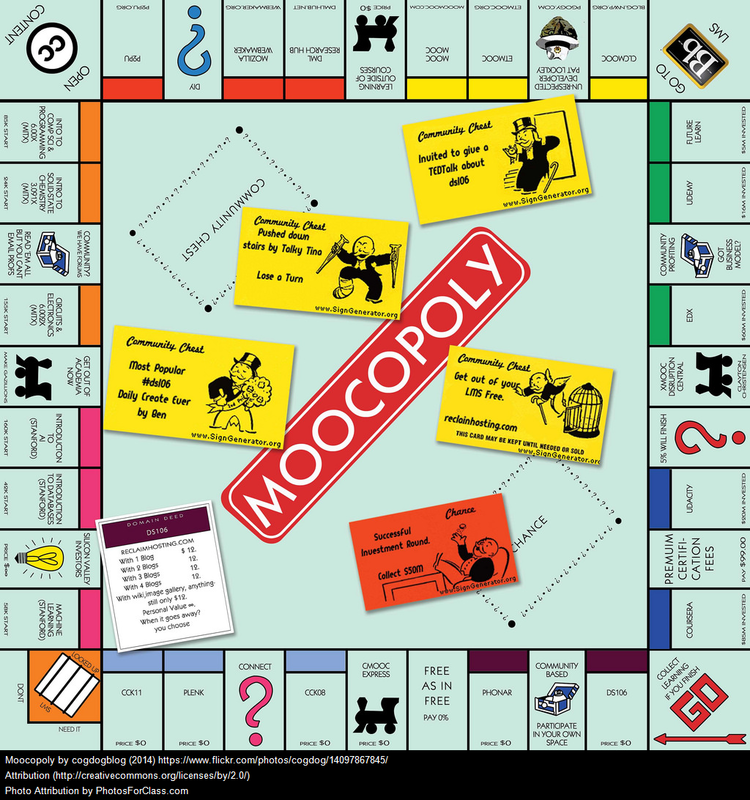 My exploration of MOOC’s continues; specifically with cMOOCs. I have set aside the xMOOC I was taking at the start of the semester, the timing just wasn’t right for me to be taking another o n-line course. In some ways, I feel like my major learning project in #eci831 has been my “Get out of jail free card” as we are encouraged to explore a subject that is important to us at this time. For me, that exploration revolved around learning about MOOCs (at the time I did’t even know that there was more than one type of MOOC)! This week, our #mosomelt community began exploring more ways to introduce ourselves via mobile technology. We could into ourselves using either Instagram video or a Vine video. I choose the latter of the two, simply because I feel okay using Instagram and had never used Vine before. Our mosomelt community was also given some suggested readings for the week – I read the article What Killed the Mobile Learning Dream by John Traxler regarding BYOD – this is something that the school division in which I am employed is currently trying in a few of our classrooms (yay!) so the article held particular relevance to me. I don’t think we’ve clearly thought through what exactly that might mean but, also, some of those concerns are proxies for a rather different question. When students bring their own devices, they also bring their own services and connectivity, and whereas we used to make the rules by which they could use the desktops or by which they could access the network – because it was ours – in future it will be their network and their devices. The rules that have been set out by school divisions regarding what sites we want our students to be working on, and what sites we want to block were in our control, but as soon as students bring their own devices, the schools are no longer in control – in essence the students are and the rules will now be broken. In control of their own learning – is this such a bad thing? In my opinion NO – in fact it is what I strive for, but then again, I do teach high school students and I want them to be independent learners. Another thing that may scare educators and school divisions off of BYOD is that the teacher may now have to be an expert in all things tech, again NO. If our students are striving to be independent learners, part of that learning process is how to use THEIR learning tool. We also want our students to learn by discussion and interaction. They can do that in an open world as well. Why do we want to get our students to get locked into our VLE [virtual learning environment] to consume our closed content? Exactly! And just as the video below states – BYOD lets the learner learn with choice of device that works for the student (one they are comfortable with) while allowing those students who do not have their own digital devices to use the schools devices, ultimately decreasing the digital divide, as everyone would have a device to learn on. And to me, this is similar to MOOCs – giving the learner the choice to learn the best way they can (xMOOC vs cMOOC) from those that are experts in their chosen fields of study. Just like the Monopoly board at the beginning of this post has a variety of icons that the players get to choose to be (shoe, race car, etc. ), I believe BYOD and MOOCs together allow learners the freedom to choose the best method to increase understanding of the content being presented. He Said, She Said…OR Did She??? As I sat down to write this blog I was plagued with feelings of disappointment and being left deflated. Have you ever heard of the saying below saying by Mark Twain? I whole heartedly agree with this saying as I have experienced this before in my personal life (and I am sure most of us have), but have had the experience orally as opposed to digitally via social media. I often wonder though, if more women (cis and trans) feel this way than men? This is NOT to say that men are “stupid people” at all – please do not take my statement that way. It’s just that I wonder if women feel that they can never “win” or is it that they realize early on in a disagreement (orally or social media) that they do not need to infuse their energy into the argument because their point will clearly not be taken as intended? Or that their gender identity already defines how they will be regarded online? These thoughts began to percolate as I read Matt Rosa’s article on Gamer Gate and the silencing of Felicia Day in regards to her love of gaming and finding an inclusive arena (social media) to voice her opinions and experiences. Inclusion – isn’t that what social media, the internet are all about? In schools, we often employ social media and the internet as a means of inclusion of all individuals within our classroom. How many of us have used social media to reach out to other educators when needing help with an assignment or activity that is inclusive? I would hazard to guess that most of us have. But since learning of Felicia Day and Amanda Hess’ experiences with online bigotry and their feelings of unwelcomeness of women on line, I began to feel deflated in the way women are viewed. I thought we were making “waves” in the world, women have the right to vote in North America, women are respected in higher level positions – U of R has a female president and Vice-Chancellor, Dr. Vianne Timmons, the USA has a female running for president! Then why is it that women whom have a voice on social media are undergoing unacceptable attacks by trolls? 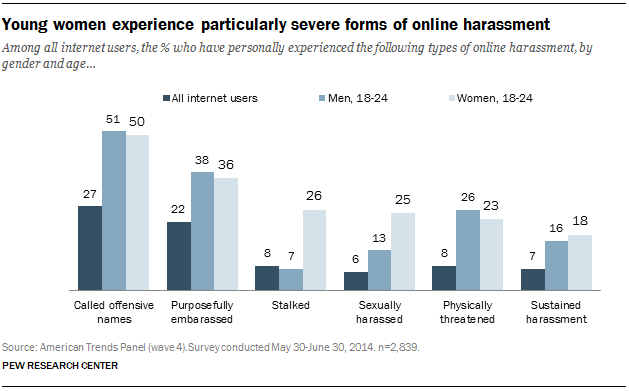 And why is it that online harassment of women is becoming the ‘established norm‘? The findings (Australian study) Suggested that women believed that online abuse was a growing problem and felt powerless to act over it. Seventy per cent of women said online harassment was a serious problem in 2016 and 60% said that it was getting worse. More than half the women surveyed felt the police needed to start taking victims seriously. Being hostile toward a woman is meant to reduce her self-worth and confidence, the authors said, while at the same time lifting their attackers’ perceptions of their own dominance. “Higher-skilled (i.e. more dominant) males do not behave in this manner as there is no need for them to reinforce their dominance to maintain their attractiveness,” they wrote. 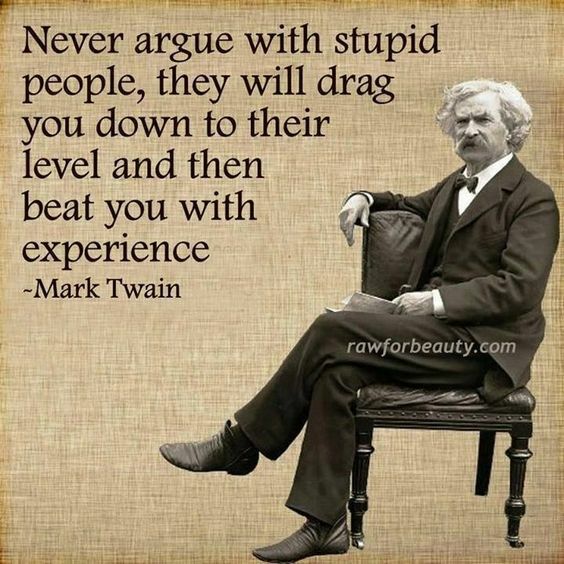 This leads me back to the saying by Mark Twain, how many people read his quote in a different light now? So is it, I wonder, that women are just easier prey online or that outspoken, powerful women (Katia 🙂 ) are so threatening to some men, in a sense emasculating, that these men feel the right to put said women in her place? Author carlacoop1Posted on March 29, 2016 Categories ECI831Tags #edtech, connected learning, digital literacy, ECI831, ECI832, social media2 Comments on He Said, She Said…OR Did She??? Sharenting, I thought I was being a good parent! At Milestone School – we are all set to have a very busy few weeks…. Our school Heritage Fair is tomorrow, and we are hosting Prairie Valley Regional Science Fair on April 5th. With all of the major activities taking place within the next week of school, I wonder how many parents will be “sharenting”? Over half of mothers and one-third of fathers post about their children on-line – and it is there FOREVER. Are we opening our children up to cyberbullying? Natalie Krawczyk wrote an article early this year about parents who just share too much and need to stop, not only creating a digital footprint for themselves (and sometimes including embarrassing images of themselves) as well as those of their children. I agree with Amy, parents are creating digital identities for their children, some as young as fetuses – just because our children belong to us, does that give us the right to create digital footprints before these children have a say? Remember, at the rate that digital identities are moving, our children most likely will not need to create a resume when applying for jobs in the future, their IP address will be all that their future employers require. 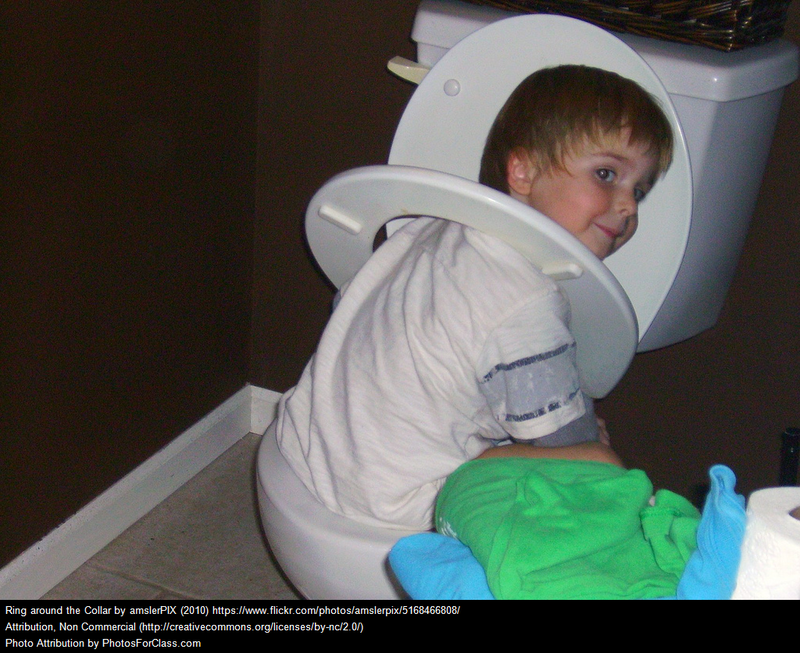 Would you want a picture of yourself as a young child learning to potty train on your resume? I think not! Honestly, I really did not think too much about “sharenting” until reading this weeks articles. 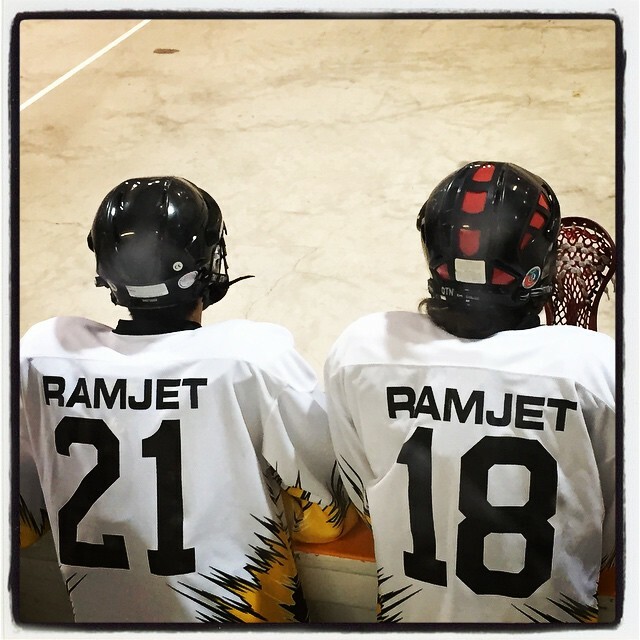 Sure, I share pictures of my son’s on my Facebook – but somehow I feel a bit immune to the whole “sharenting” ideal as my sons are much older (19 & 17 – yes, I feel old), and they are at the age where they can untag themselves from a picture that I post. But, as a parent of teenage boys, I have been very cognizant of what I post as I do not want to post any embarrassing photos (although I have really, really wanted to at times, haha, I guess those pictures will just have to wait until their weddings :)). Or, should we just show photos like the one below of my son’s, Rhys and Dayne? I feel that I am the same as most parents, I just want to share moments with my family and close friends of my son’s lives, showing their milestones, but is there a fine line that needs to be drawn in the sand? I wonder, how many of you sharent? If you have, do you regret sharing as much of your child’s life as you have or have you used it as a way to reach out to other parents going through the similar situations you are experiencing as a parent of young children? Author carlacoop1Posted on March 22, 2016 Categories ECI8317 Comments on Sharenting, I thought I was being a good parent! I have begun my second MOOC, this time a cMOOC called MOSOMELT (Mobile Social Media Learning Technology). Week 1 was an introductory week titled “The Power of Social Media and Curation”, very similar to the introductory week we had for both #eci831 and #eci832, we were required to set up a WordPress blog, Twitter Account and ensure that we were connecting on our Google+ community. I already feel very comfortable with these platforms as we have been using them a lot in this class – so it was nice to begin a class without feeling overwhelmed! Aside from setting up all accounts and tweeting using the appropriate hashtags (#mosomelt), we have been asked to play around a bit with augmented reality app MSQRD – somewhat similar to taking a photo or video of yourself on SnapChat and choosing a filter or mask to put on your face – although this was fun, I do wonder if it will be used in some catfishing scams as it is very easy to hide your face and claim that you are someone you aren’t. Also, when you take the photo-you simply upload it to instagram, Facebook, Twitter or save to your phone – you can’t choose to send it to your friends or in a story like SnapChat allows. So far, there has been little communication with one another, with the exception of having communication with Thom Cochrane, one of the facilitators, but, there have been posts both on the Google+ community as well as on Twitter and our Blog Roll and I expect the communication to pick up as the weeks go on. We have 60 people signed up for this cMOOC and I think that I am geographically the farthest from anyone as most seem to be situated in Australia and New Zealand – Good, I want to make global connections! I am looking forward to Week 2 as we will begin to look at the “Power of an Online Profile” – again, I feel fairly comfortable with this, but am excited to learn how to do all of this on a mobile device and away from the safety of my laptop. Another New Beginning…and I am Excited!!! Today I began my second MOOC! This time I am participating in a cMOOC, but still continuing on with the xMOOC I had signed up for initially – although I am loosing engagement in it, I am digging my heels in and will continue to see how it goes. But with what I have been experiencing so far, I agree with the points that Degree Of Freedom makes while correlating the two MOOCs as personal learning networks. Garden Path – “This pathway is designed to be more like a social, non-structured, self-guided pathway. You will work through creating your own goals and connecting with other learners to think through various assignments. This s a good pathway for more advanced learners or those that prefer more interactive learning experiences”. Stream Path – “This pathway is designed to be more like the linear, guided knowledge pathway that most of you are used to in a typical online course. You will work through a pre-determined set of videos, content, and assignments. This is a good pathway for new learners or those that prefer more structured, guided learning experiences”. As an educator who wants to bring MOOCs into the high school arena, I like the idea of h aving two paths to travel and allowing for options for our students as they begin their journey into online learning and at the same time reminding students that technology has been around for a very long time, it’s just changed it looks as it has evolved. I am excited to participate in a joint teaching and learning environment, although being facilitated by @thomcochrane via multiple mobile social media platforms such as mosomelt cMOOC G+community. Author carlacoop1Posted on March 15, 2016 March 20, 2016 Categories 831 Major Project1 Comment on Another New Beginning…and I am Excited!!! 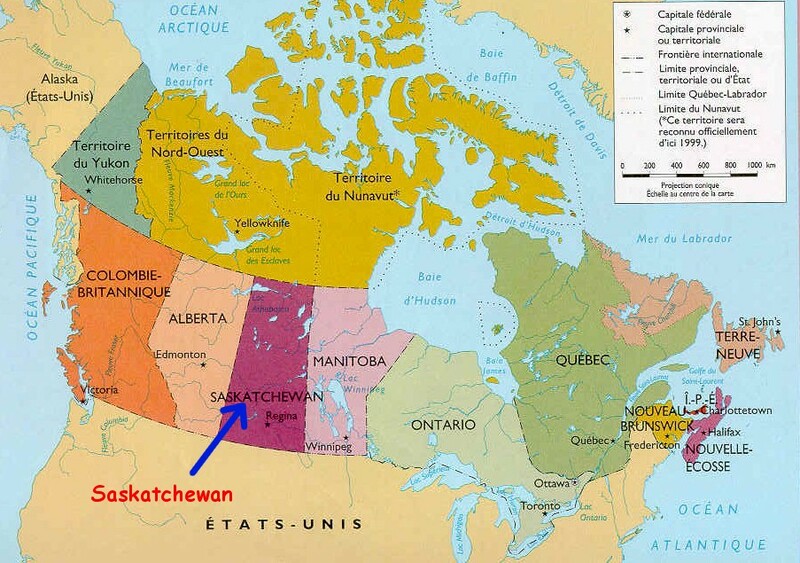 I am a senior science teacher and Vice Principal in a small school in Saskatchewan, Canada. Currently, I am working on my Masters of Education degree in Curriculum and Instruction at the University of Regina. I have taken two classes of educational technology and social media and have had that “ah-ha” moment where I realized that THIS is what I want my thesis to be on. The “this” that I am referring to is that of the use of MOOCs within the science classroom to increase students engagement. I still need to figure out what engagement is to look like, but have a bit of time to work through this – any suggestions would be greatly appreciated! 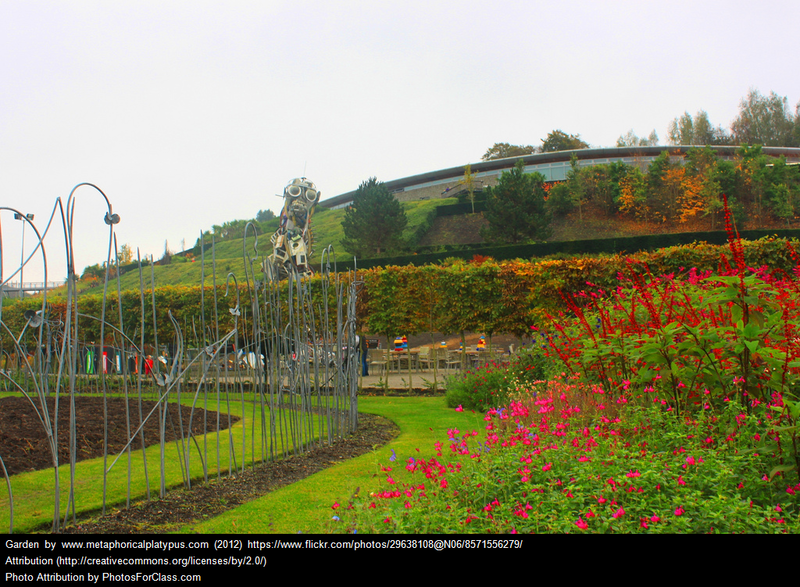 I am taking an xMOOC out for a test run, but feel that I am missing something – I am missing the connections with an xMOOC that I am hoping to gain in this MOOC. This year, I would like to try working on increasing my Twitter usage, currently I tweet or re-tweet. But I am wanting to create tweets with substance and those that allow for a flow of conversations. I have begun to use WordPress blogs in all of my science classes – all of my students are required to blog once a week and I have moved from a paper based class towards a blog posted, online learning platform class. First – his talk, and film, is about branding. I ask you this, aren’t we in some way branding ourselves when we create a digital identity? Aren’t we creating a persona that we want the world to see? Alec Brownstein did this when he took out bought Google AdWords for some of the people who had influenced himself the most. This branding ended up landing him his dream job at Y & R, all for the low, low cost of $6.00! Alec wasn’t afraid of “putting himself out there in an interesting way”. Just like Spurlock is pitching to all of the companies he visited. Second – we see Spurlock speaking to the team at Ban, when he asked the people on the team to describe Ban’s brand they wanted to put a positive spin on their produce. Ban was described as “fresh” vs. the negative connotations that go along with underarm deodorant such as: wet and odour. If you visit the company website, their tagline is “Instant, All Day Freshness”. Bonnie Steward’s blog “What Your New Year’s Facebook Posts Really Mean” reflects on her 2015 year in review put together by Facebook. All in all, the year in review looked “nice” – most likely due to the coding that Facebook has run to post only the most “likes” personal posts throughout the year. Steward stated that we as humans are adaptable, and as cultures we are vulnerable. Were you able to pick up on both Spurlock and the companies which were sponsoring his film capability to be adaptable for one another and the concept of the film? Spurlock, himself was very vulnerable while pitching his idea to all companies. 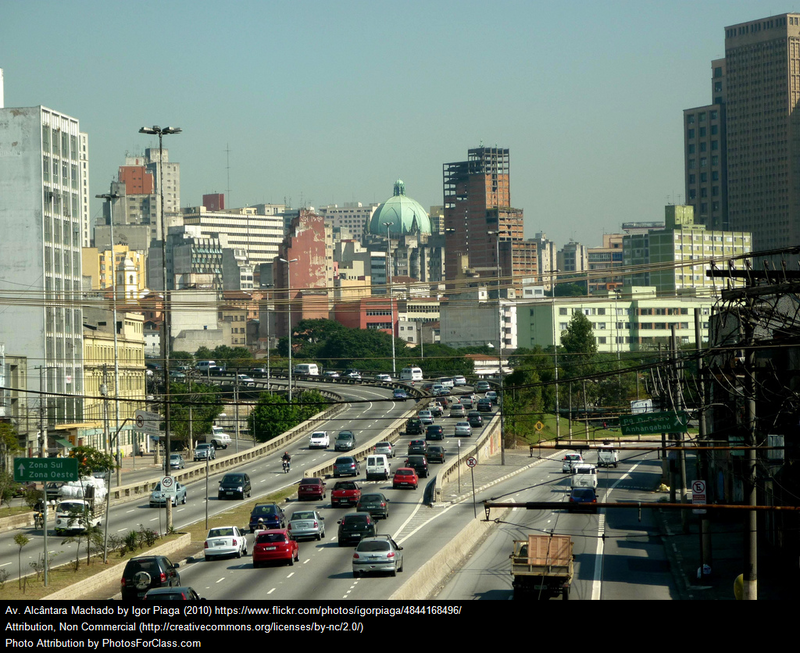 But as a society, we are vulnerable – look at example Spurlock gave about San Paulo’s “Clean City Law“- no advertising on buildings? Sure, the city may be void of branding/advertising on buildings, but is it really? I bet there is digital advertising and branding taking place at the very moment you are reading this post. Third – Spurlock speaks about being transparent. Anthony Perrotta is teaching his class to brand themselves using “professional looking Twitter, YouTube accounts and blogs” The digital footprints that his students are creating are transparent to all who actively search, or stumble upon them online. Resume’s are tools that have been used for at least 50 years, and while they do have a place in the toolbox, they are becoming outdated – soon to be replaced (outdated) with one’s own digital identity. Social media gives our students a voice with which to be heard. And while our students are still learning and growing, they need to remember that what they are putting online is transparent for all to see. As teachers, we need to do as Perrotta is, and teach students how to create a positive transparency as their personal digital footprints are huge. I really liked Kelly Holborn’s reflection on her digital transparency – watch below. Spurlock noted in his TED talk that transparency scary, unpredictable, and risky all at the same time. Kelly questions if our technological world has caused her to act a certain way online. Has she managed her reputation a certain way because she was posting on social media? The article, Reputation Management and Social Media echo’s Kelly’s concerns about her online profile. The youth (ages 18-29) are more careful of their digital portfolio; they are more likely to take steps to limit amount of personal information available about them online, they change their privacy settings, they delete unwanted comments and remove their names from photos in which they have been tagged in. Just as Suprlock stated, transparency is risky, which is why the monitoring of ones own digital footprint has become common. Pernille Tranberg speaks about how she chooses to control her digital identity and why it is so important for her to do so. As Spurlock stated at the end of his talk, and as I teach to my students, we need to encourage people to take risks and be transparent, but in a way that allows our students to maintain a positive digital identity. I learned from Spurlock that my brand identity is that of a down attribute (contemplative, empathetic, wise, reliable), with a few up attributes (adventurous, inspiring) thrown in for good measure, what type of attribute do your brand personality represent and is your identity, reputation and social capital reflective of the person who you are off line? Author carlacoop1Posted on March 13, 2016 Categories ECI831Tags ECI831, Morgan Spurlock, OER, social identity, TED2 Comments on What is Your Brand?